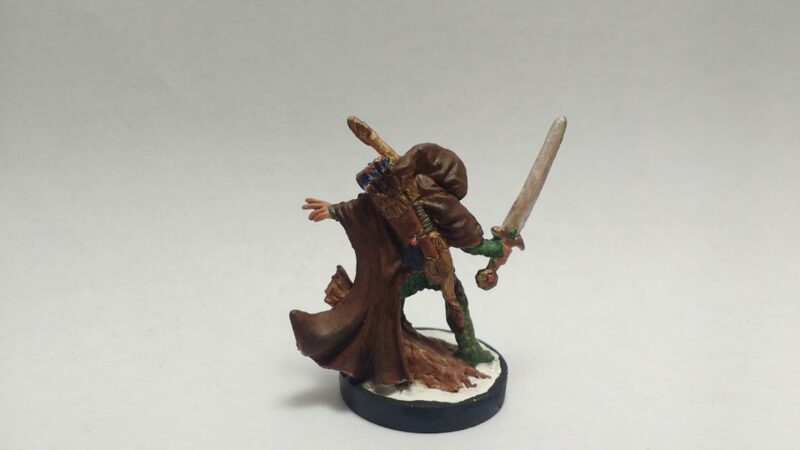 In a break from the last several miniatures I didn’t paint this one with a specific character in mind. It was just a fun sculpt that caught my eye. 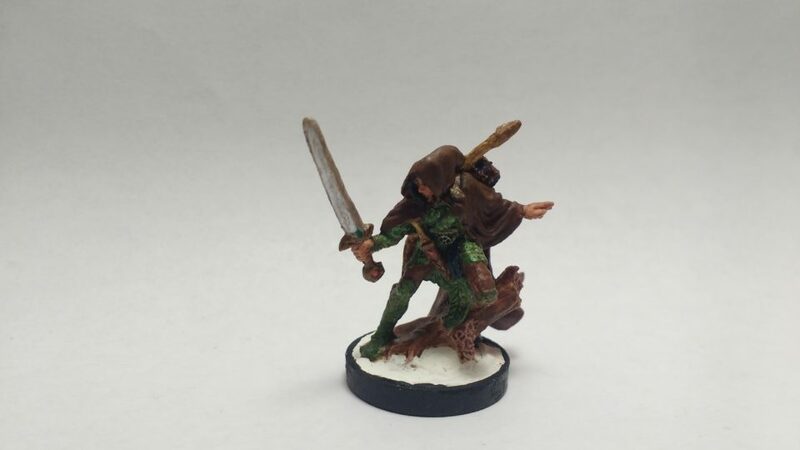 I hope to slowly paint my entire collection of Reaper Bones miniatures. I painted several layers of progressively lighter green and progressively darker brown on this one. I went with gold, bronze, and gem colors for most of the detailing. I did add in the eyes though my micron marker is still malfunctioning and they ended up looking quite botched – good thing this miniature has a hooded cloak! Then I coated it with polyurethane followed by a spray on matte finished.